Olney RFC is one of the leading community rugby clubs in Buckinghamshire and with our legacy dating back to 1877 we are celebrating 140 years of rugby. We run 3 senior sides plus ladies, colts, vets, girls along 450 registered mini and junior players from under 6s to under 16s. In November 2016, Olney RFC scooped Youth and Mini section of the year at the National Rugby Awards, beating off strong competition from 300 nationwide entries. 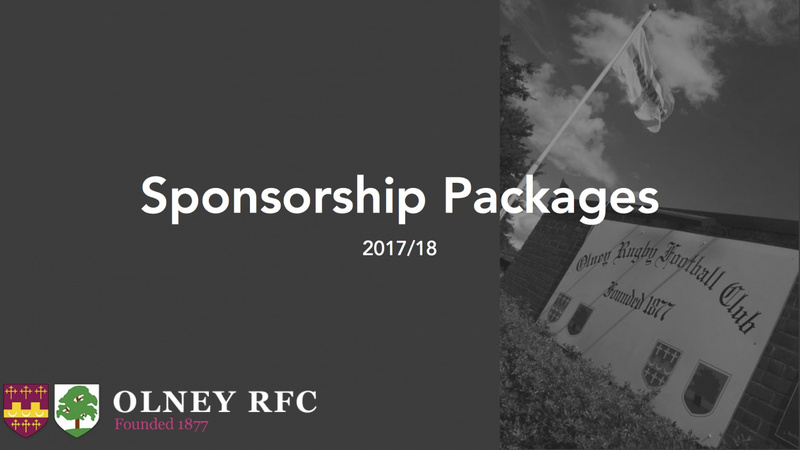 There are plenty of opportunities available, all of which promote your business whilst providing the financial support our club needs.